Timberwolf started manufacturing pet food in 1995. The company produces pet food that has the benefits of a raw diet and the convenience of a dry food. The food has high-quality protein sources with no fillers or by-products and is preserved naturally with Vitamin E and rosemary extract. Has Timberwolf Ever Been Recalled? Yes. Two dry dog food formulas were voluntarily recalled by the company in summer 2008 after complaints arose from customers of dogs becoming sick after eating the food. Apparently, neither a cause for the sicknesses nor a definitive link between the sicknesses and the food was ever determined. 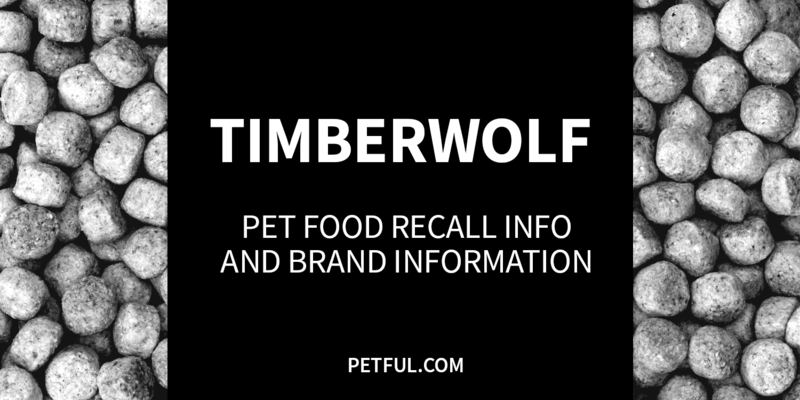 This 2008 recall of several thousand bags of Timberwolf Organics dog food does not appear in the FDA database — we found it in archived company website materials. Have You Had a Problem With Timberwolf?